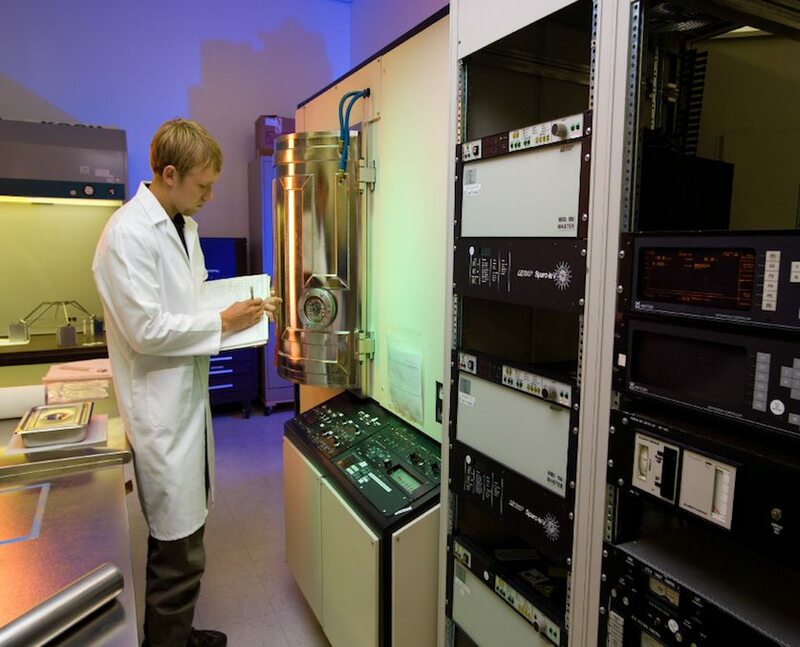 VPE specializes in thin film coating for a diverse range of applications, including sensors, anti-multi-factoring, corrosion resistance, electronics, biomedical devices, satellites, and particle physics apparatus. Coating materials include gold, platinum, chromium, titanium, copper, aluminum, and nickel. Our experience with a variety of thin film coating methods ensures that we use the most appropriate technique for each application. Electron Beam: Very high deposition rates may be achieved with this type of thin film coating process. Ion Plating: In this technique, the substrate is electrically biased, which can increase coating adhesion to the substrate and allow us to tailor the physical and electrical characteristics of the coating deposit. Sputtering: This thin film coating method produces a precisely controllable stream of coating atoms that exhibit high adhesion to substrates. Reactive Sputtering: Ambient sputtering atmospheres may be controlled to yield reactively sputtered coatings, such as titanium nitride and aluminum oxide.